ENVIRONEX is a world class manufacturer of cleaners, sealers and graffiti coatings for all forms of masonry. 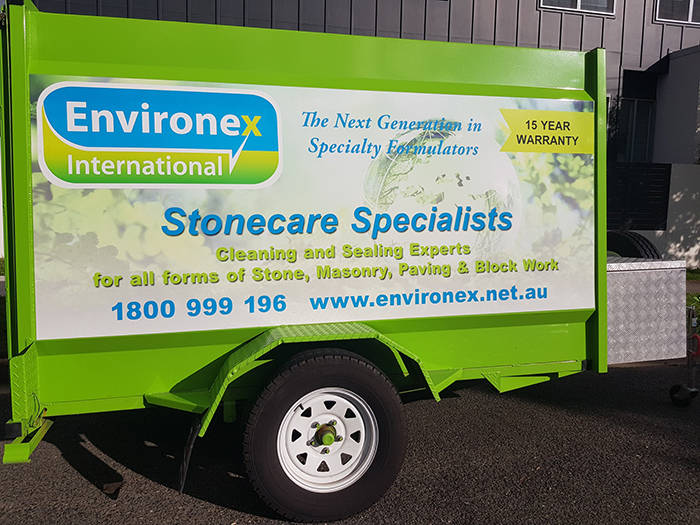 ENVIRONEX is focused on supplying premium quality products and services to all facets of the building, stone and masonry industry both nationally and internationally. ENVIRONEX has performed extensive R & D to ensure the highest quality products are designed to protect your investment. ENVIRONEX’s new TSL LOW VOC range incorporates a 15 year product warranty and are formulated around environmentally friendly solvents and resins. The TSL range represents non dangerous goods thus can be shipped and transported easily and economically. Specialty testing by the CSIRO further ensures that the products exceed Australian Standards for salt resistance.